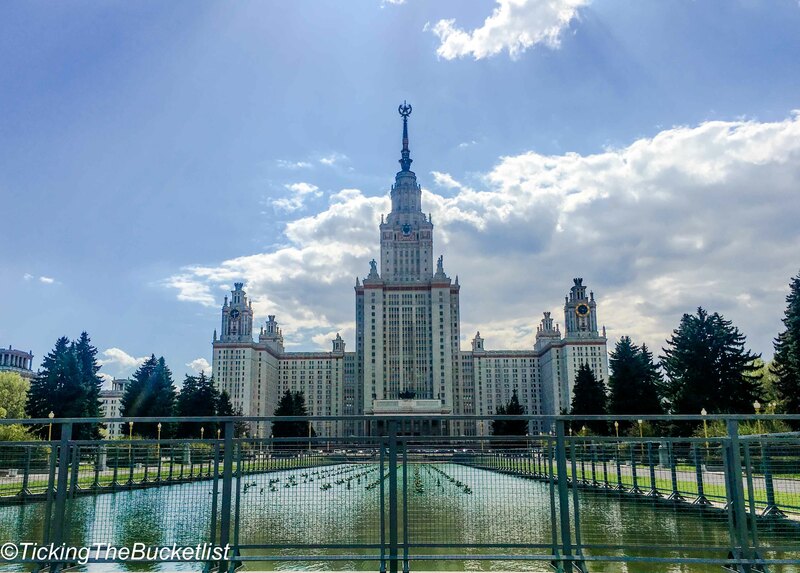 What will you see during the Moscow City Tour? I was picked up from my hotel in Izmailovsky and taken to the city centre, which is the Red Square area. The Moscow City Tour started the Bolshoi Theatre, where I was to return later in the evening to see a ballet. From the Bolshoi Theatre, I walked to the Red Square, which is the 4th largest square in the world. The Red Square is possibly the most famous tourist site in Russia; your trip to Russia isn’t complete until you have been here. 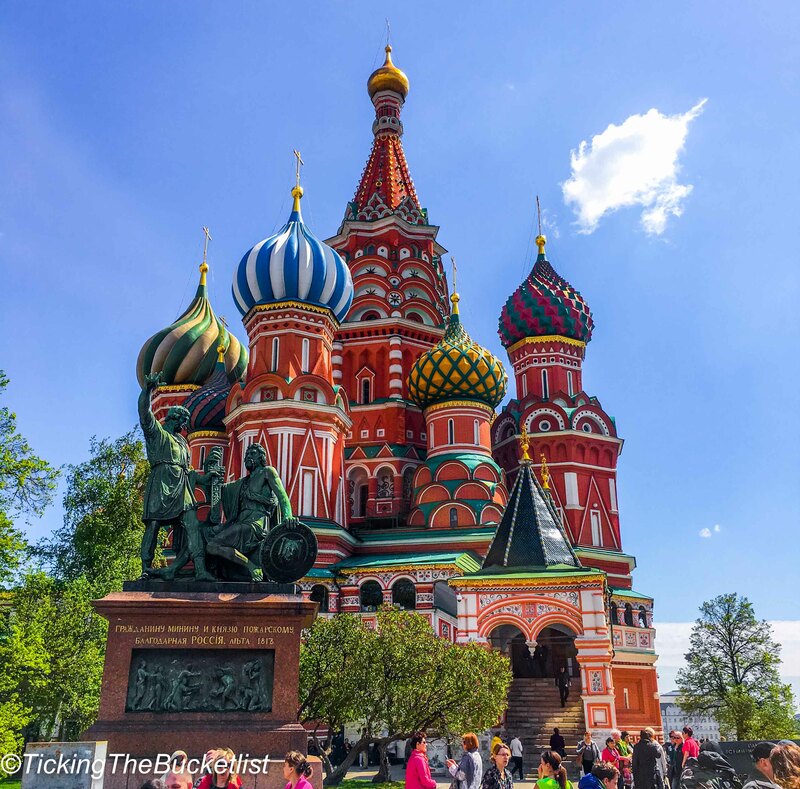 The square is flanked by the walls of the Kremlin, a shopping arcade (GUM Mall), St Basil’s cathedral and the State Historical Museum of Russia. One of the most important sites at the Red Square is Lenin’s tomb and necropolis, where people come to pay their respects. The buildings around the square look as though they have been built of sugar and gingerbread. They are brightly coloured … and so dreamlike. Reds abound with a medley of greens, whites and blues. I could not get my eyes off these interesting looking structures! The State Historical Museum of Russia is the the bright red building at the Red Square. The minute I laid eyes on it, I fell in love with Moscow for it unique architectural style. It looked different from any building that I had ever seen. It was a classic Legoland structure…or a gingerbread house covered with red and white icing. 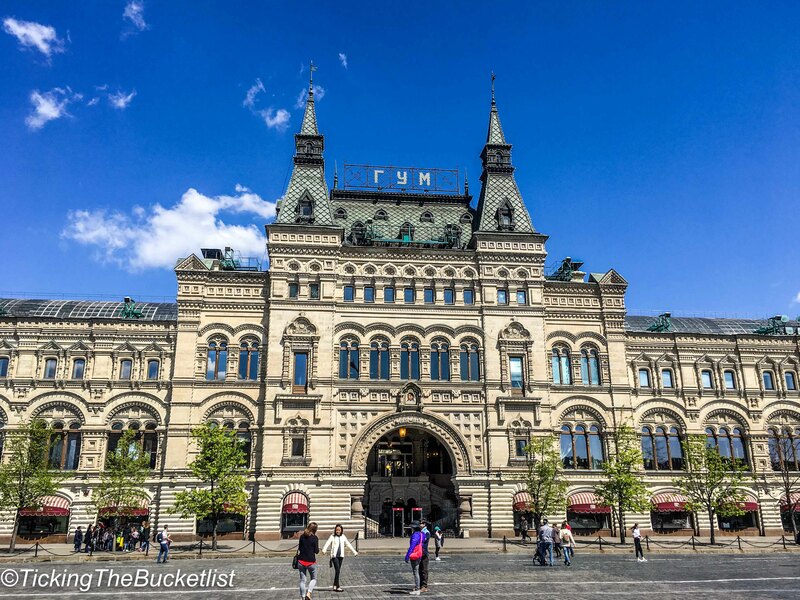 Another noteworthy building at the Red Square, which will make you want to click a few pictures and itch to shop is the GUM Mall. 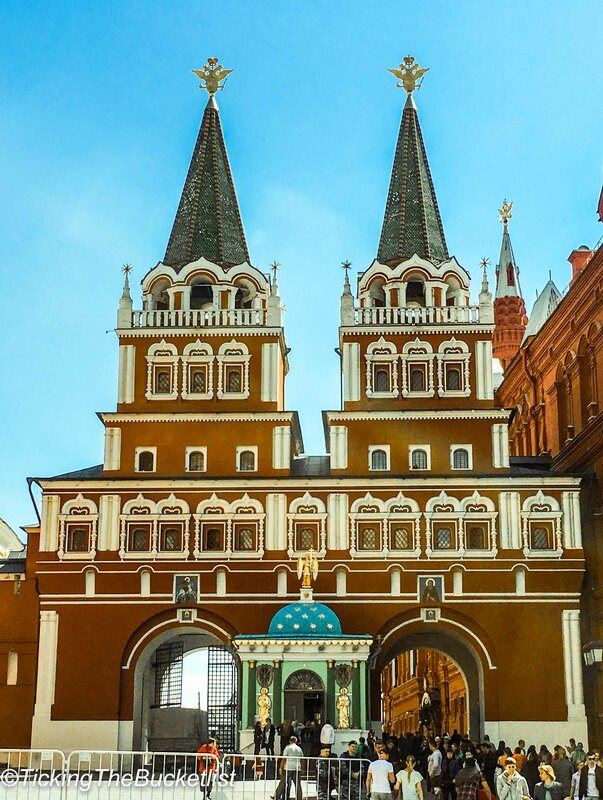 In the 16th and 17th century, the Red Square was the main trading area in Moscow. This resulted in development of the trading arcade of GUM as a mall, which now houses high end showrooms, restaurants and al-fresco coffee shops. 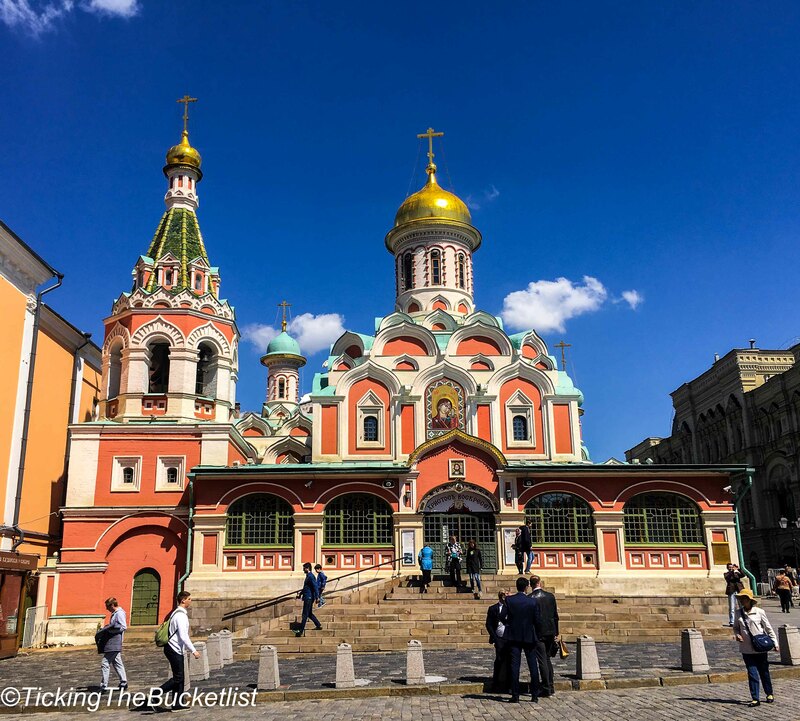 After spending about an hour or so at the Red Square, we (the Moscow Tour Group) drove through the city, passing Aleksandrovsy Garden, Saint Sofia’s Embankment and the cathedral of Christ the Saviour. This cathedral is a representation of Russia’s spiritual revival spirit and is one of the most important cathedrals in the city. The cathedral has huge gilded domes which will make you wonder ‘How much gold did this country have’! I would have loved to stop at the cathedral for a few minutes and explore more of it, but could not so for the lack of time. The last leg of the city tour took me to Moscow State University campus and to the panorama platform on Vorobiovy/Sparrow Hills. The Sparrow Hills area is lovely, and the panorama platform is located at the highest point of Moscow city. I could see each of the seven Stallin’s sky scrappers that dot Moscow city. 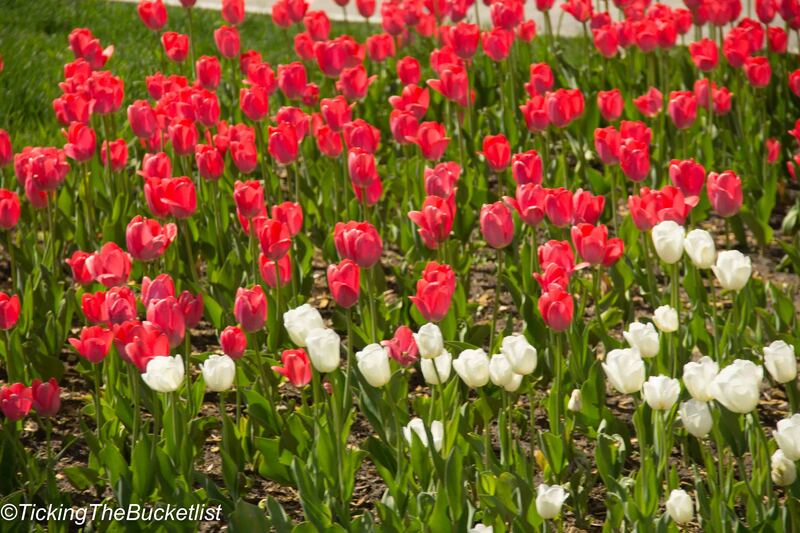 It was start of spring and tulips bloomed everywhere. The lawns were manicured and were postcard perfect. The sky was blue and the landscape looked stunning. While I loved this area, I could not spend too much time here as it was windy and I was really cold in a light sweater. Sparrow Hills is the place that I would want to revisit with Ankur, to hold hands and walk along the charming boulevards… how romantic! The city tour is a half day affair and takes about 4 hours. The traffic in Moscow is terrible, which might make the tour longer. Wear what the Moscow weather allows! The Russian churches are orthodox churches and it would be respectful to the locals if you cover your shoulders and knees. The tour does require a fair bit of walking in and around the Kremlin, hence, good walking shoes would be nice. It’s always good to have a light jacket with you when you are in Moscow. The minute the sun hides behind the clouds, it gets cold! 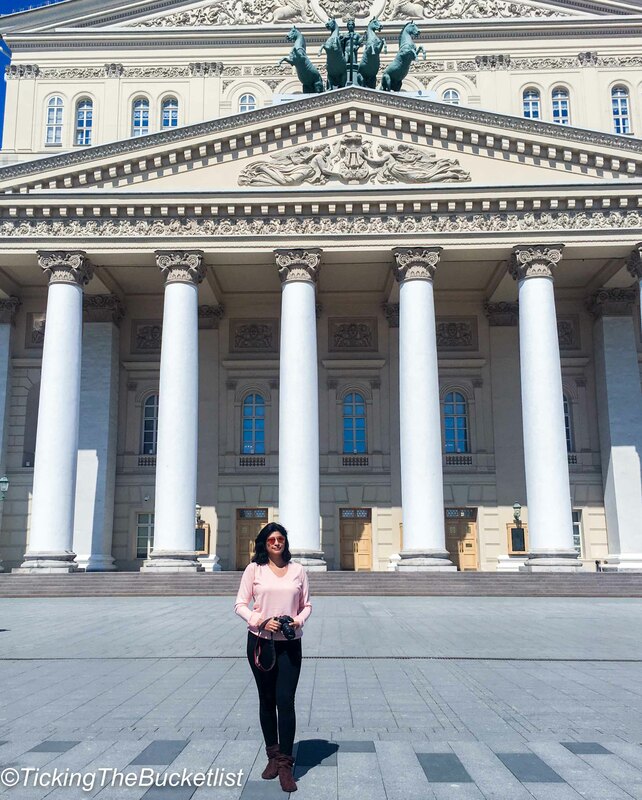 The tour gave a peek of Moscow, and I fell in love with the city. It was the Russia that I had read of…colourful onion shaped domes, the imposing Kremlin and the Moscow river flowing through the city. Russia is happy to welcome tourists now – are you planning to visit the largest country in the world? The architecture there is so incredible, almost like Disney…but a really crazy, grown up version. Thanks for sharing your great shots! I completely agree that a tour is the first thing you should do in a city to get your bearings and find the most important spots to return to later. I usually try to catch a free walking tour as my first port of call in the city. I can;t believe just how beautiful the architecture is in Moscow and your photographs really capture the buildings well. I have to visit Red Square at some point, it looks magical! At times, when in a new nation, I also prefer going with a city tour rather than wasting time in thinking about transport, connectivity etc. 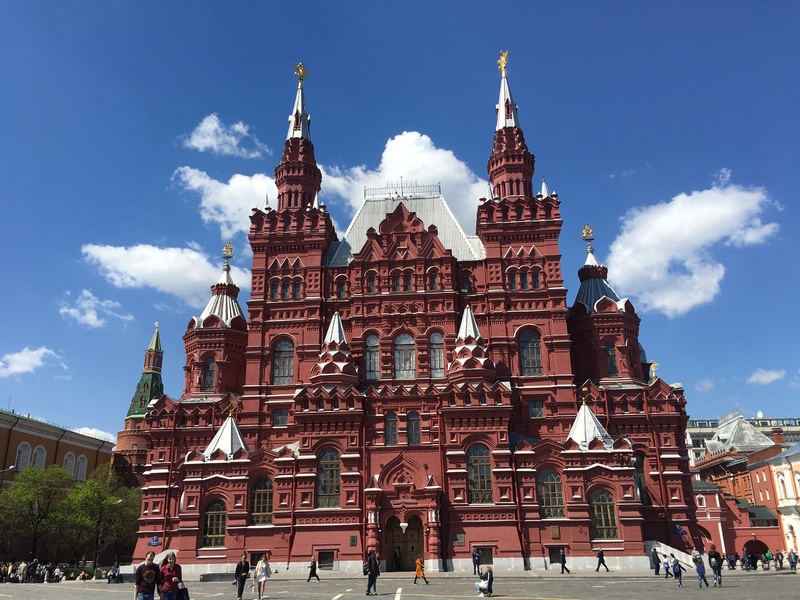 Moscow city tour seems like a perfect way to see the best Moscow has to offer. I have been thinking of making a trip to Russia. To begin your time in a city with a walking tour is a great idea! So many times we have left a city only to hear afterwards about all the amazing places we missed. Love the photos, so colourful! Moscow sure looks and sounds like a beautiful city! Can’t wait to get there! I have always wanted to go to Moscow. One day I would love to do the pan Siberian train and see Moscow and St Petersburg. I love to do a walking tour I agree with you that it’s a great way to see a city. I’m so in awe that you went to the ballet there! Incredible! How was it? Moscow is in my wishlist. You have done a nice walking trip and I would also prefer that. Red Square looks very beautiful and tulips also. St. Basil’s Cathedral looks so colorful and bright and photogenic too. Moscow is such a great place that it attracts every one. And the way you explore it was awesome. Now it’s time for me to visit Moscow. Moscow is on my list for long. The post and pictures got me tempted for sure. St. Basil’s Cathedral is so beautiful. I love city tours and I often love walking around new cities. There is a fair bit to see in Moscow, which is spread across the city… like the Sparrow Hills and the view of the Kremlin from across the river. Hence, I chose the city tour over the walking tour. Woah! Russian Architecture is just out of this world. Great photos.